This 277V kit is an incredible value! 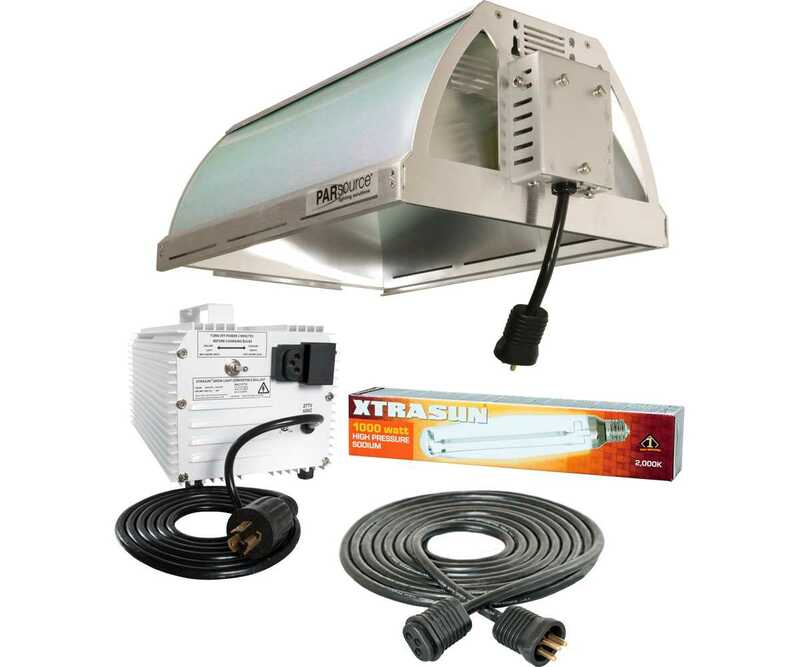 We've combined our Xtrasun 1000W Convertible 277V ballast with our PARsource GLX55031A reflector and Xtrasun XTB1000 1000W HPS lamp to make a highly effective and economical lighting system. Our CSXCORD 15' lamp cord with Lock & Seal plug is also included. The Xtrasun ballast in this combo is our classic workhorse magnetic ballast, offering reliable service at a value price. It also provides "Xtra" flexibility, allowing you to run either halide or HPS lamps with the flip of a switch.